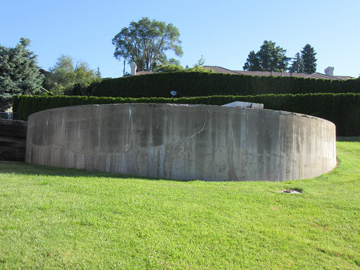 Currently there are two reservoirs that are collectively called the Minnesota Reservoir located at 616 N. 56th Avenue. The oldest reservoir on the site is 150,000 gallons and was built in 1947 and the "newer" 1,000,000 gallon reservoir was built in 1955. The file on the Minnesota contains many interesting items. Keep in mind that this reservoir was designed and built before the introduction of computers. All plans were drawn by hand and all invoices were done on a typewriter with carbon paper! Looking through the files, an invoice was found from W.M. Yeaman, Const. for 83 hours for a Journeyman Plumber. The hourly rate? $3.56 an hour! 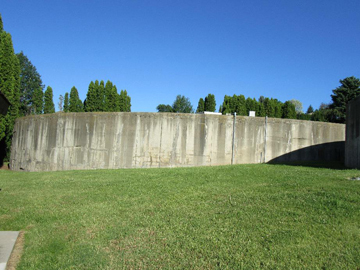 In September of 2016, Nob Hill Water applied for a low interest Drinking Water State Revolving Fund loan to demolish the two existing reservoirs and rebuild one larger reservoir. In January of 2017, we were notified by the Department of Health (DOH) that our application was selected to receive funding! DOH had $35 million available this cycle for construction projects and they received requests for $58 million. 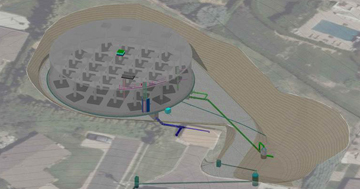 Since January, staff and our engineers (RH2 Engineering) have been busy with design elements of the new reservoir. The new reservoir will be a larger, completely above ground, Prestressed Concrete Tank. This allows a better visual inspection of the reservoir. Additionally, the new reservoir will be six feet taller than the existing one. Construction timing is very important since it is necessary to demolish the existing reservoirs before rebuilding. Due to these time constraints, it is still be analyzed whether construction will begin in the Fall of 2017 or the Fall of 2018. If any questions regarding the Minnesota Reservoir project, please email Kirsten at engineeringtech@nobhillwater.org.